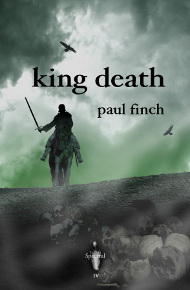 And so here’s the latest review of Paul Finch’s Spectral chapbook, from David Brzeski and posted to the British Fantasy Society’s website – but, in order to find out whether David gave it a YAY or NAY, you should click the link here. More reviews expected soon! Onwards and upwards!